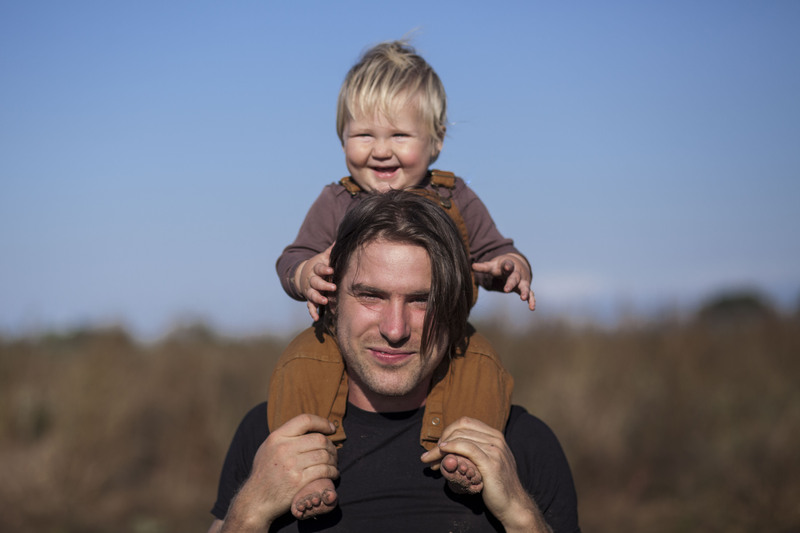 Together, James and Ayla have over 18 years of combined farming experience. They enjoy the autonomy of their work and the satisfaction of putting in a hard days work on their own land. Eating well is at the core of their relationship and helped them make the decision to start farming on their own. Now, years later, they feed not only themselves and their crew of interns, but hundreds of families, too! They also are busy raising their daughter Ronia Willow (4) and son, Edwin Oak (2). Ayla grew up in Minneapolis and went on to Warren Wilson College in Asheville, NC where she majored in Global and Environmental Studies. 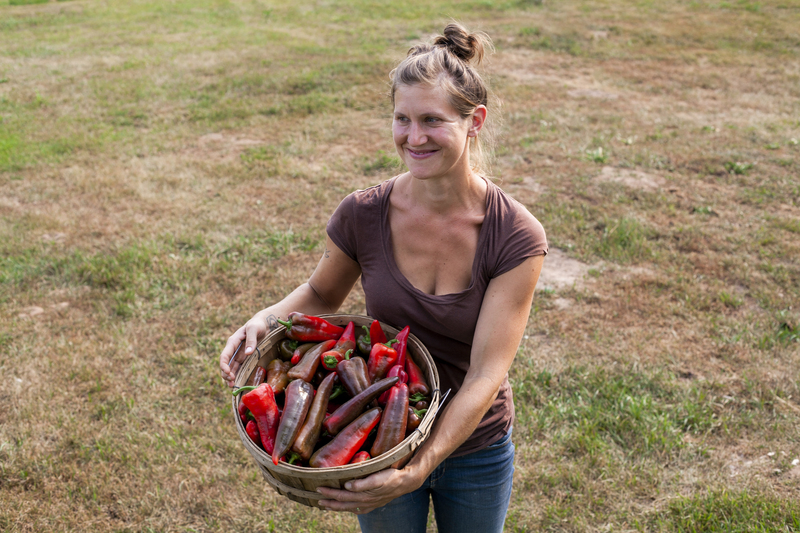 All the while, her interest in small-scale farming grew, from gardening in her backyard; immersing herself in her high school senior project that focused on farming within intentional communities; spending a year WOOFing in Europe working on organic farms; volunteering at her college veggie farm, to spending a year working at Rising Sun Farm in River Falls, WI and another year at Foxtail Farm in Osceola, WI. 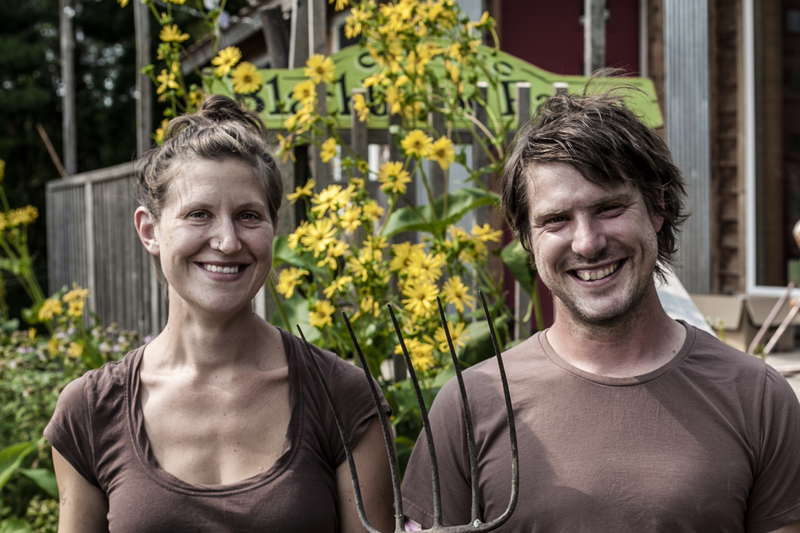 In between working on farms she spent time working in bike shops, traveling, throwing pottery, working on her doula certification and increasing her interest in becoming a midwife and also working at Hampden Park Food Co-op where she met James…than they started their own farm! James was born in Clear Lake, WI on the land that Blackbrook Farm first started. He was homeschooled as a child and this made learning how to drive tractors at a young age easy! On the farm, they raised pigs, cows, goats, chickens, 2 horses, as well as a large organic vegetable garden. After leaving WI, James made his way to the Twin Cities where he attended the U of M and majored in History, focusing on social thought and the Soviet Union. During this time he worked at several restaurants in the cities where his appreciation for wholesome, local foods grew. Since then, James has honed his carpentry skills and started his own business, Dodge Carpentry, LLC. He is also a very good mechanic.